The Michigan housing market was the beneficiary of an encouraging increase, albeit a slow one. Recent forecasts even predict gains to continue for the foreseeable future, and at a presumably faster pace. The positive trends, however, are more likely the result of Michigan’s entire economy. Currently rated as the 13th out of the 50 states, Michigan’s economy is doing its best to remove itself from the doldrums of the latest recession. Unfortunately, however, some cities were hit so hard by the downturn that even recent progress has yet to make up for the last few years. The Flint housing market is no exception. While better off than it was just a few short years ago, Flint is still waiting to turn the corner. Flint is the largest city and county seat of Genesee County in the State of Michigan. It is located along the Flint River, 66 miles northwest of Detroit. Not unlike the Motor City, Flint was hit hard by the recession; the residual impact can still be felt. Some experts place Flint’s depreciation rate at somewhere around 8.6 percent in the last year. That is a far cry from the national average, which appreciated around 5 percent. In one year’s time, experts do expect Flint housing prices to appreciate a modest 0.5 percent, but definitely not enough to make for last year’s fall. So while things are improving in the Flint real estate market, it still has a long way to go. According to Realtor.com, the average home price in the Flint housing market is $50,279. Not surprisingly, the average home price is 27.4 percent lower than the average sold price. The average home in Flint sells for $69,214. The average home price per square foot, as a result, is $39. Flint real estate is only a part of the 3,789,163 properties and 67,047 homes for sale in all of Michigan. 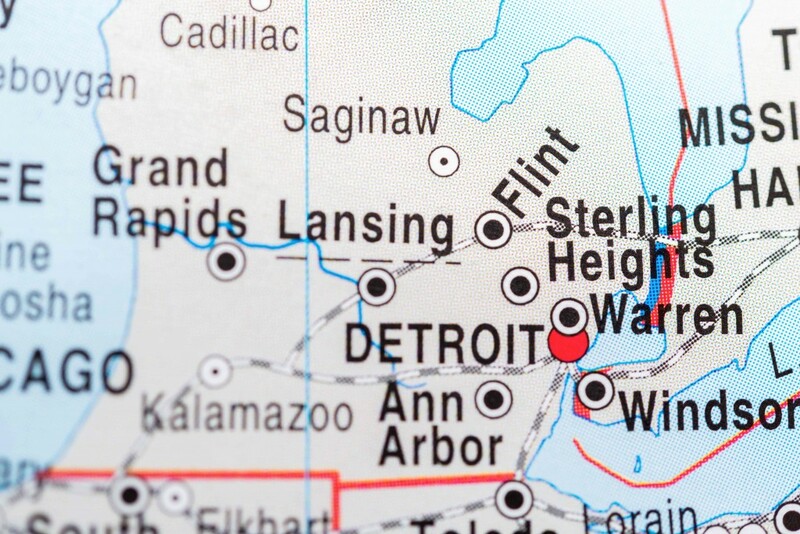 Subsequently, the average home price and average home value of Flint is less than the average home price ($124,812) and average sale price ($151,224) of Michigan. Good values on homes are still available, as the number of homes listed for sale is greater than the number of homes being sold. Of course, with cheaper housing, the Flint housing market has a lower cost of living. At $35,800, the cost of living in Flint is 42.1 percent less than the rest of the state combined. The cost of living in the Flint housing market may account for the recent rise in population as well. Recent data suggests that the population has increased 3.4 percent over last year. Moreover, the return of people to a market once decimated by the recession could suggest a return to normalcy. For the first time in 14 years, Michigan’s unemployment rate fell below 6 percent. However, according to the Bureau of Labor Statistics, Flint’s unemployment rate is 9.7 percent. The number is trending down, but for the time being, it is worth keeping an eye on. As a whole, Michigan was one of the hardest hit states by the recession. It shouldn’t surprise anyone to hear that Detroit suffered from one of the worst foreclosure crises across the country. While not as bad as its neighbor to the southeast, Flint had a tough time of its own. The Flint housing market has made up a lot of ground since the decline, but RealtyTrac still identifies about 375 homes in some state of foreclosure (default, auction or bank-owned). To put things into perspective, there are about 709 homes for sale and another 620 that recently sold. Nearly half way through the year, foreclosures have actually increased by as much as 7 percent. However, the amount of distressed properties on the Flint real estate market has dropped 8 percent over the course of a month. The increase in foreclosures in the last year is likely the result of more bank-owned properties. In the last year, bank-owned foreclosures have increased 87.1 percent, and now represent 54.7 percent of today’s distressed market in Flint. The remaining foreclosures are primarily made up of those homes that are going to be sold at auction. Either scenario represents a great opportunity for the Flint real estate investing community. In addition to availability, distressed homes have the potential to offer great spreads for savvy investors. According to RealtyTrac, the median foreclosure sales price in Flint is $21,064. During the worst part of the recession, the Flint housing market had the third worst economic index in the country. Not surprisingly, Detroit took the first spot. At the very least, it is safe to assume Michigan was one of the hardest hit states during the downturn. That said, Flint had a lot of ground to make up. The expansion of the U.S. economy certainly helped, and Flint’s economy is in a better place than it was seven years ago, but it still has a lot of room for improvement. Predicted rates of appreciation do not appear to be enough to make up for previous falls. That said, Flint real estate investing should see a spur of activity. There are plenty of opportunities to acquire properties at attractive prices. In Western Michigan, or Grand Rapids, real estate investing has already taken off. It is only a matter of time till the trend spreads to the Flint housing market.